If you take the “rat” from Apparat out off Moderat –currently on a hiatus– what do you get? “Mode”, that determines the method but also the reference of two thirds of the band: Modeselektor. Gernot Bronsert and Sebastian Szary, the German fury. Because if Apparat brought a sense of moderation, a tribute to the ethereal and a softer beat, by elimination it is clear that Modeselektor brought the punch, the rush and the wild element. The letting yourself go. The catharsis. 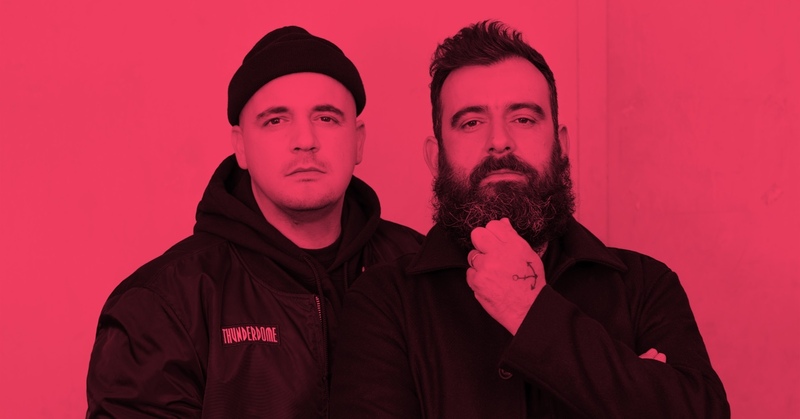 Modeselektor is crystal clear on two things: the first is that they are not married to any genre (they can play IDM, ambient, dodgy techno, acid or breakbeat); the second is the next logical step from the first one, and it’s that no matter what they do, they’ll have to be way up there . In permanent catharsis.